Great blue herons, yellow birches, damselflies, and beavers are among the talismans by which Bill Roorbach uncovers a natural universe along the stream that runs by his house in Farmington, Maine. 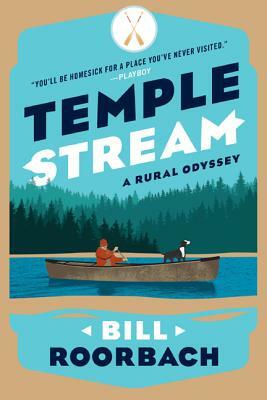 Populated by an oddball cast of characters to whom Roorbach ("The Professor") and his family might always be considered outsiders, this book chronicles one man's determined effort--occasionally with hilarious results--to follow his stream to its elusive source. Acclaimed essayist and award-winning fiction writer Bill Roorbach uses his singular literary gifts to inspire us to laugh, love, and experience the wonder of living side by side with the natural world. Bill Roorbach is the author of the O.Henry Award-winning story collection Big Bend, as well of the novels The Smallest Color and Life Among Giants, now in development for an HBO series. He also wrote the memoir, Summers with Juliet and the essay collection Into Woods. His work has appeared in numerous publications, including the Atlantic, Harper's Monthly, Granta, and the New York Times Magazine. He lives with his family in Farmington, Maine.